A large prospective cohort study has shown that endometriosis is a risk factor for obstetrical complications and shows that the increased risk affects both women with and without a history of assisted reproduction technology (ART) therapy. Women with endometriosis often have a history of infertility and may have received ART that by itself increases the risk of obstetrical complications. In this study the vast majority of women with a history of endometriosis conceived naturally (266/330, 80.6%). Analyses of specific types of complications found women with a history of endometriosis had significantly increased risks for threatened preterm delivery (1.5-fold), placenta previa (6.4-fold), and placental abruption (3.5-fold) compared to women without a history of endometriosis. Harada T, Taniguchi F, Onishi K, et al; Japan Environment & Children’s Study Group. Obstetrical complications in women with endometriosis: a cohort study in Japan. PLoS One. 2016 Dec 22;11(12):e0168476. A national study including all women and their new-borns delivered in Denmark 1997-2014 studied 19,331 deliveries. In 19,331 deliveries, women with endometriosis had a higher risk of severe preeclampsia (OR 1.7, 95% CI 1.5-2.0), haemorrhage in pregnancy (OR 2.3, 95% CI 2.0-2.5), placental abruption (OR 2.0, 95% CI 1.7-2.3), placenta previa (OR 3.9, 95% CI 3.5-4.3), premature rupture of membranes (OR 1.7, 95% CI 1.5-1.8), and retained placenta (OR 3.1, 95% CI 1.4-6.6). 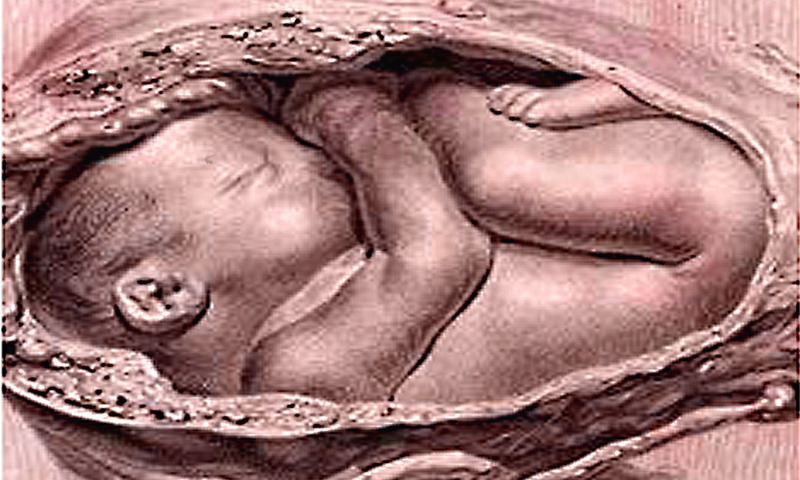 The neonates had increased risks of preterm birth before 28 weeks (OR 3.1, 95% CI 2.7-3.6), being small for gestational age (OR 1.5, 95% CI 1.4-1.6), being diagnosed with congenital malformations (OR 1.3, 95% CI 1.3-1.4), and neonatal death (OR 1.8, 95% CI 1.4-2.1). Results were similar in primiparous women with a singleton pregnancy. Gynaecological surgery for endometriosis before pregnancy carried a further increased risk. Women with endometriosis had a significantly higher risk of several complications, such as preeclampsia and placental complications in pregnancy and at delivery. The new-borns had increased risk of being delivered preterm, having congenital malformations, and having a higher neonatal death rate. Pregnant women with endometriosis require increased antenatal surveillance. Acta Obstet Gynecol Scand. 2017 Jun;96(6):751-760. Endometriosis increases the risk of obstetrical and neonatal complications. Berlac JF, Hartwell D, Skovlund CW, Langhoff-Roos J, Lidegaard Ø. A systematic review and meta-analysis, reported in Oct. 2017 in which twenty-four studies were analyzed comprising 1,924,114 women. Electronic databases searched from their inception until February 2017 with no limit for language and with all cohort studies reporting the incidence of obstetric complications in women with a diagnosis of endometriosis compared with a control group (women without a diagnosis of endometriosis). Women with endometriosis had a statistically significantly higher risk of preterm birth (OR 1.63), miscarriage (OR 1.75), placenta previa (OR 3.03), small for gestational age (OR 1.27), and caesarean delivery (OR 1.57) compared with the healthy controls. [odds ratio (OR)] No differences were found in the incidence of gestational hypertension and preeclampsia. Women with endometriosis have a statistically significantly higher risk of preterm birth, miscarriage, placenta previa, small for gestational age infants, and caesarean delivery. Endometriosis and obstetrics complications: a systematic review and meta-analysis. Zullo F, Spagnolo E, Saccone G, Acunzo M, Xodo S, Ceccaroni M, Berghella V.
Comparison of the site of endometriosis following surgery was retrospectively assessed in 419 women who achieved a first spontaneous singleton pregnancy after surgery for endometriosis. A miscarriage was observed in 87 of 419 women (20.8%) and an ectopic pregnancy in eight (1.9%). Among the remaining 324 women, 14 (4.3%) experienced gestational hypertension/pre-eclampsia, 38 (11.7%) had a preterm delivery, five (1.5%) had placental abruption and 12 (3.7%) had placenta praevia. The incidence of placenta praevia was 7.6% in 150 women with rectovaginal lesions, 2.1% in 69 with ovarian endometriomas plus peritoneal implants, and 2.4% in 100 women with peritoneal implants only, whereas no case was observed in 100 women with ovarian endometriomas only. Pregnancy outcome in women with peritoneal, ovarian and rectovaginal endometriosis: a retrospective cohort study. Vercellini P1, Parazzini F, Pietropaolo G, Cipriani S, Frattaruolo MP, Fedele L.
Although a study reported in Hum Reprod Update. 2016 Jan-Feb;22(1):70-103 concluded that complications of endometriosis during pregnancy are rare and there is no evidence that the disease has a major detrimental effect on pregnancy outcome. The authors did suggest that physicians should be aware of the potential increased risk of placenta previa. There is conflicting evidence for gestational hypertension and preeclampsia. Overall the evidence suggests that in patients with a history of endometriosis, there is an increased risk of premature labour, placenta previa and abruption.